After having spent a lot of time and resources setting up their website, many people are left at crossroads wondering why their websites do not turn in the kind of numbers they expect. In today’s competitive online commerce world, having a functioning website is not enough. Many find that after establishing their websites, the wait for visitors is long and sometimes not so fruitful. One of the ways through which one can improve their stats after setting up is through video marketing. It is no secret that users are often attracted to the visual side of the internet. This is why images and videos are gaining greater significance when it comes to content marketing. In video marketing, site owners are advised to keep the user in mind. To attract and keep their attention, they must know what the video is talking about in the first few seconds. Make sure it touches on something the viewer is expecting to see. When the viewer feels the video is irrelevant, they often close it before it runs for long. Another clever tip for video marketing campaigns is to keep them short. Be precise, preferably less than 60 seconds. A video too short does not deliver the message, and when it is too long, the viewer might not stay long enough to get the message. There has to be a perfect balance between message completion and the length of the video. Another clever way to make the video campaign successful is to leverage the advantages of social media. Majority of internet users are on social media, using it practically every day. Integrating videos with social media, therefore, increases the chances of millions of social media users viewing them. Social media also carries the benefit of enabling sharing. When users find the message useful or interesting, they share it with their friends and the message spreads. Even with these three techniques mastered, one will only understand the progress their video campaign is making if they are able to calculate the results. It is impossible to understand the impact of a campaign, or the quality of the videos if one does not keep track of the results. With easy video suite, it is easy to achieve all of these tricks with video marketing, and so much more. Online advertising is often very costly, especially for those who rely on the pay per click route. The cost of high speed internet is also generally reducing, a fact which makes it much easier to watch videos online. While videos are useful, mastering their production is not easy. With easy video suite, though, the process is much more manageable. With this tool one can make videos of professional quality. 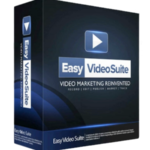 Easy video suite makes video recording and production relatively easy for everyone. Adding buttons, links and opt-ins can be very easy with a few clicks. Additionally, there are various analytical tools which help one keep track of the progress and numbers of the video marketing campaign. One can check such stats as the total number of videos, plays, embedded videos and the income generated. Social platforms and marketing niches are all making use of videos as a mode of bringing viewers to a point where they create a personal touch and endearment. With Easy Video Suite, a user does not have to be a pro to make effective use of the tool in managing the videos they desire to make or edit and share. With the easy to understand user interface, an individual is given a straightforward operational pathway which they can make effective use of. It is with this that the tool scores points since it enables users have data and analytics on how their videos have fared. The analytics that the tool provides range from how people have accessed the videos and the location from which they accessed the same. The tool also facilitates a pathway from which a user can note the way the videos have evolved and the amount of traffic that they have generated. Users having Easy Video Suite can enjoy easy file conversions to all the formats that can be accessed. This is a peculiar advantage that people can utilize since it guarantees that the videos that users are able to post are in the available formats that can be viewed in the varied platforms and devices. With that, the tool stands out as being effective and good value for money. Users can also boast having and easy time while uploading the videos in the varied formats which makes the whole idea all the more exciting especially for the fun lovers. Users can be proud of the varied customizations that are available with the tool. With different skins and backgrounds to choose from, users can be able to create unique aspects with the customizations to ensure they get a favorable setting that they can enjoy. The customizations cover the varied preferences that people may have which makes for a unique advantage when it comes to creating and editing the videos of choice. This is the best part about the tool as it brings users a unique advantage of being in a position to customize video timelines and create perfect and unique orientations. Users have the capacity to add pictures and different graphics during the playback period making for a video that is unique and in the shape of what the user prefers. 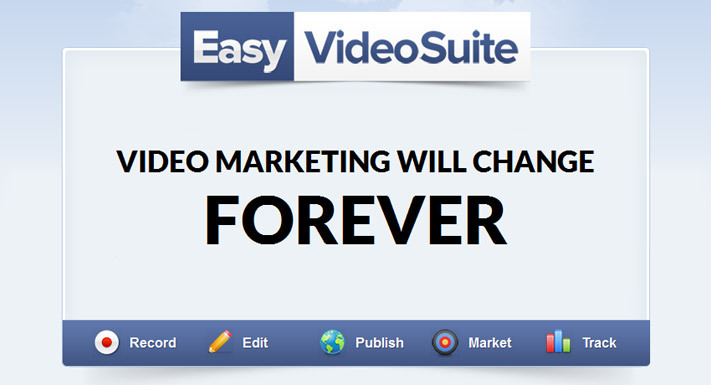 As much as Easy Video Suite is off the hook in terms of the advantages it offers, the presence of cheaper alternatives which offer close to the same or equal service that the tool delivers marks as a disadvantage since it establishes a dilemma for users who wish to access the tool. Many users will view the tool as being overpriced which is a negative aspect on the part of the software. The videos that some users have uploaded have been declared as not having the capacity to be viewed on some platform like android. Although there have been developments to address the problem with the updates to the tool, the presence of such an anomaly marks as a disadvantage.